Davis enjoyed a stellar five-year career with the Ticats, after he signed with Hamilton as a free-agent in 2001. The former Iowa State Cyclone tailback owns the Tiger-Cats single season records for rushing yards (1,628) and carries (324), en route to setting the Ticats career marks for rushing yards (5,188) and carries (1,053). He scored 30 rushing touchdowns during his Ticats career, second most in franchise history. Despite some huge games from Jesse Lumsden, Davis still holds the single game team record 233 yards rushing on 32 carries, which came against the rival Argos in the 2004 Labour Day Classic, the same year he was named a CFL All-Star. Bennett was a hard-hitting defensive back and contributed on special teams as a return man. After a brief stint at the University of Missouri, he returned to Canada and enrolled at Laurier. In 11 CFL seasons, he had 45 interceptions and currently sits second behind Gizmo Williams for punt return attempts and punt return yards. Bennett was a three-time CFL All-Star, and twice named the CFL’s Most Outstanding Canadian (1983 and 1985). The and helped the 1986 Tiger-Cats to a Grey Cup win. 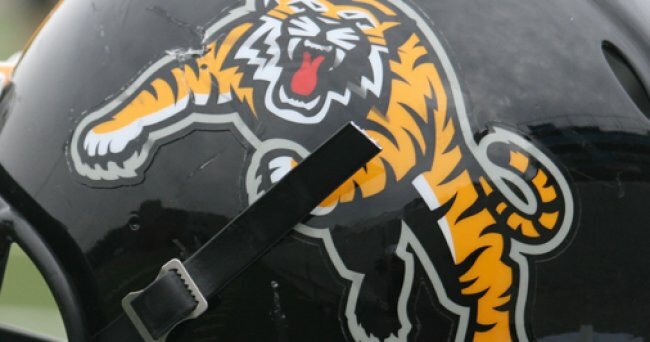 The All-Rivalry Team stars will be in attendance for the Labour Day Classic and many exciting events leading up to the game, including a pre-game autograph session on Monday, September 1 from 5:30 p.m. – 6:30 p.m. You can still get your tickets for the Labour Day Classic by calling Ticats Ticket Central at 905.547.2287.